THE DEPARTMENT OF VETERANS AFFAIRS' VOCATIONAL REHAB PROGRAM IS HELPING VETERANS PURSUE NEW CAREERS, INCLUDING LUCRATIVE CAREERS IN THE ELECTRICAL FIELD. Currently, there are approximately 4 million military veterans in the United States with a service-connected disability. About one-third of those have a disability rating of 70% or higher. These disabilities fall into a number of categories. The most common issues involve difficulty walking, hearing damage, cognitive disabilities (ranging from PTSD to traumatic brain injuries), and more. However, many such veterans are more than capable of working full-time, and desire to do so for the betterment of both themselves and their families. The Department of Veterans Affairs’ Vocational Rehabilitation and Employment (VR&E) program aims to put many disabled veterans back to work. Disabled veterans seeking to return to the workforce often face difficulties which are two-fold: overcoming their disabilities, as well as developing skills which are applicable to civilian life. As veterans are able to work through their traumas and build the skills needed for civilian life, VR&E provides vocational assistance that includes. Education and career counseling provides veterans with career guidance counseling that can help them better understand what their ideal career options are, based upon their personal interests, as well as physical and mental capabilities. Benefits coaching helps veterans make optimal usage of their benefits, and lastly, personalized academic support ensures that vets are able make the most of their education. Each of these addresses a different need, with the ultimate goal being to give veterans the tools they need to reenter the workforce. The commercial electrical field is an ideal career for disabled veterans. Speaking from many decades of experience as commercial electricians, there’s a universal truth when it comes to contractors: they love veterans. The structure, drive, and team mindset that vets bring to worksites can’t be underestimated. Whenever a contractor is looking to fill a position, they are almost guaranteed to put a veteran’s resume at the top of the stack. And that’s true of disabled veterans as well. In turn, working as an electrician is a great fit for veterans accustomed to a great deal of activity and an environment that changes frequently. We have had the opportunity to work with many veterans suffering from PTSD and other psychological traumas. Oftentimes, these vets have struggled to work in office environments, but experienced a complete mental turnaround once they had the opportunity to work outdoors. Many are shocked to see how much better they feel when they aren’t stuck to a desk, their backs facing an open floor plan office. 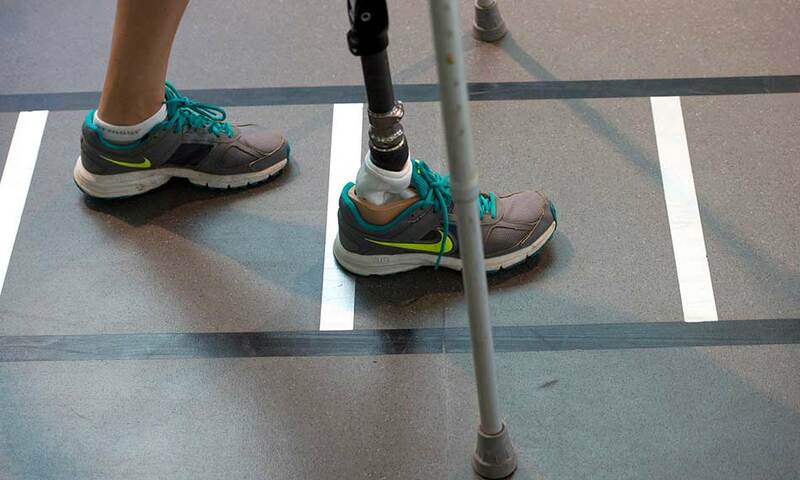 Even those with physical disabilities thrive in the electrical field. Given that so many tradespersons have significant hearing damage due to not wearing proper protection in their younger years (wear your hearing protection! ), veterans who have suffered hearing damage due to proximity to aircraft, large engines, and explosions do just fine on the jobsite. But what about those with more serious injuries? Veterans with significant physical injuries may be more than capable of working as an electrician or other skilled trades, depending on their level of injury. A 21-year-old man who suffered electrocution significant injuries to both hands, who returned to work as an electrician after having his left hand amputated and replaced with a prosthetic. A 28-year-old man who suffered a traumatic injury to his left arm, and who returned to work as a manual laborer after having his left hand replaced with a prosthetic. In a study of upper-limb amputee workers, of 35 people employed in physically-involved vocations (carpenters, electricians, siding installers, etc. ), 22 of them (63%) returned to their previous vocations. Those in specialized fields fared the best with 76% going back to work, while general laborers struggled more, with only about 50% returning. The lesson here is that for disabled veterans with the drive to reenter the workforce, whether they are overcoming physical or psychological challenges, the commercial electrician trade is great vocational choice. If you have strong skills, and find the drive to surpass your disabilities, you can expect to find a welcoming community. The electrician trade needs the skills and frame of mind you can bring to the field thanks to your education and military background, and will do everything it can to help you succeed. However, many veterans struggle to take that first step towards a new career because they find themselves frustrated by the VR&E system, which is complex and confusing. I-TAP can help you obtain and make better use of your VR&E benefits, as our financial aid specialists have many years of experience navigating the VA’s benefits system, as well as identifying other financial aid opportunities. Many of the electricians who have walked out our doors are veterans, some of whom suffered mental and physical injuries while serving our country. We can help you find and utilize additional sources of financial aid, while providing you with a first-class education that will propel you into a lucrative career as a journeyman electrician, and even one day open a business of your own. To learn more about how I-TAP can help you and other disabled veterans, contact us today by calling (916) 332-3332, or send us a message using our contact form.